A Happy and blessed Easter to all of our Sacred Heart families! We held an all-school prayer service today to prepare ourselves for this special weekend. In religion class, our 7th and 2nd grade buddy partners made beautiful crucifixes. Read on to hear the special story of their journey, which serves as a wonderful reminder of the importance of family, health and community. The Small Heroes Foundation, started by an SHS family, launches its 12-week Because I Can Challenge! Small Heroes, smallheroes.org, raises funds for Duchenne Muscular Dystrophy, which primarily affects boys. The Because I Can Challenge encourages participants to celebrate physical fitness and become their better selves through exercise and nutrition. 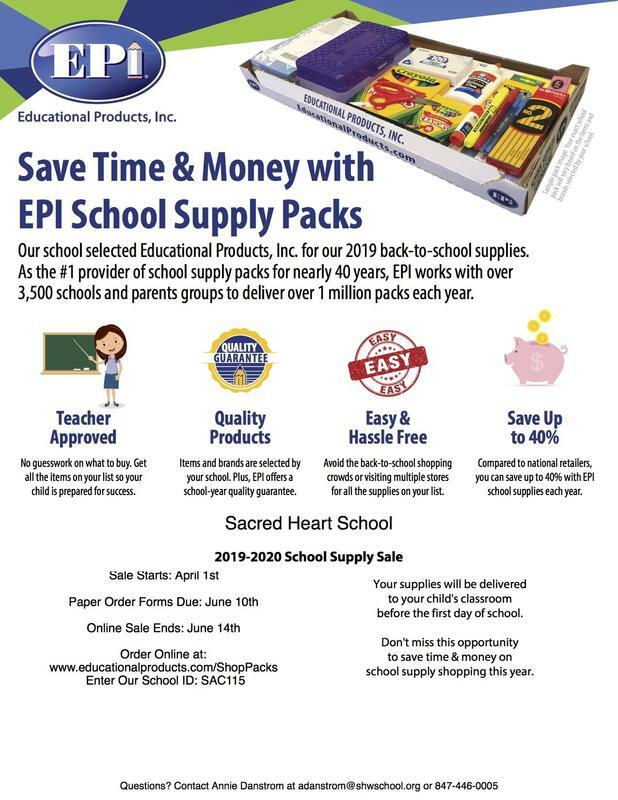 Order your school supplies for the 2019-2020 school year now! 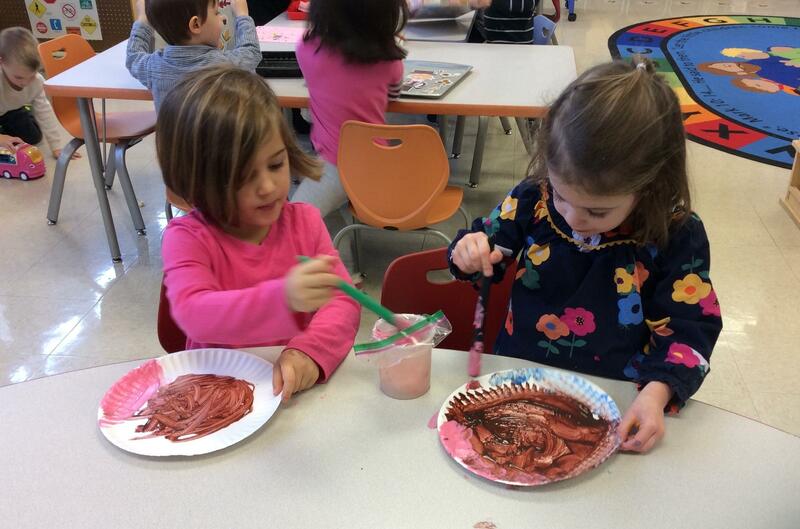 Sacred Heart School, a member of the Archdiocese of Chicago, is part of Divine Mercy Parish in Winnetka, Illinois. 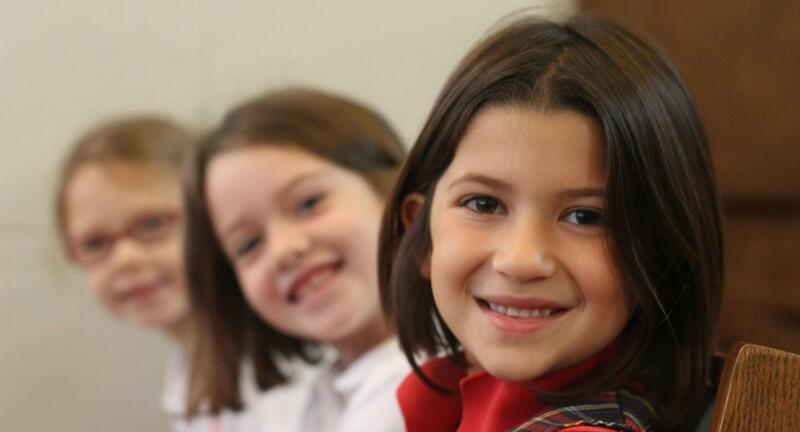 Since 1902, Sacred Heart has provided generations of students with a solid academic foundation and values deeply rooted in faith, enabling them to become well-respected, accomplished leaders. 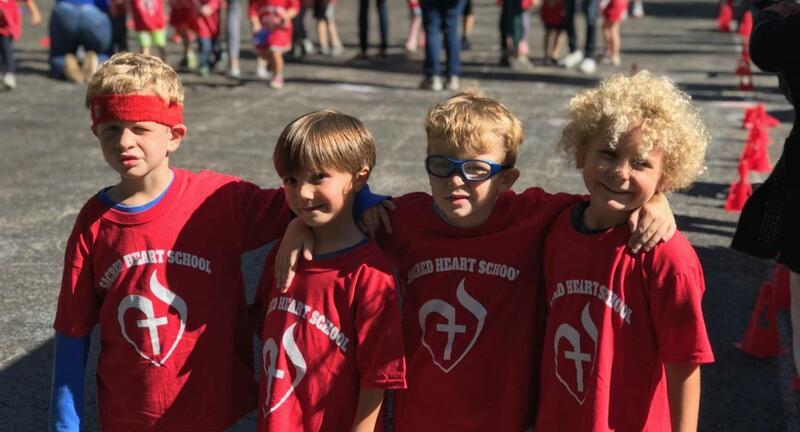 Families are drawn to Sacred Heart School because of its mission to educate children’s hearts and minds in a faith-filled, Catholic community, teaching 21st Century skills. School-wide service projects, daily religion classes and weekly Mass deepen Roman Catholic beliefs. Prayer Families, comprised of students from all grades and led by 8th graders, build community. Sacred Heart students thrive under a faculty committed to continuous improvement through ongoing professional development. Teachers collaborate across grade levels and subject areas to provide a rigorous curriculum. The highly specialized Student Services Department supports teachers and learners, differentiating to ensure each child’s needs are met. 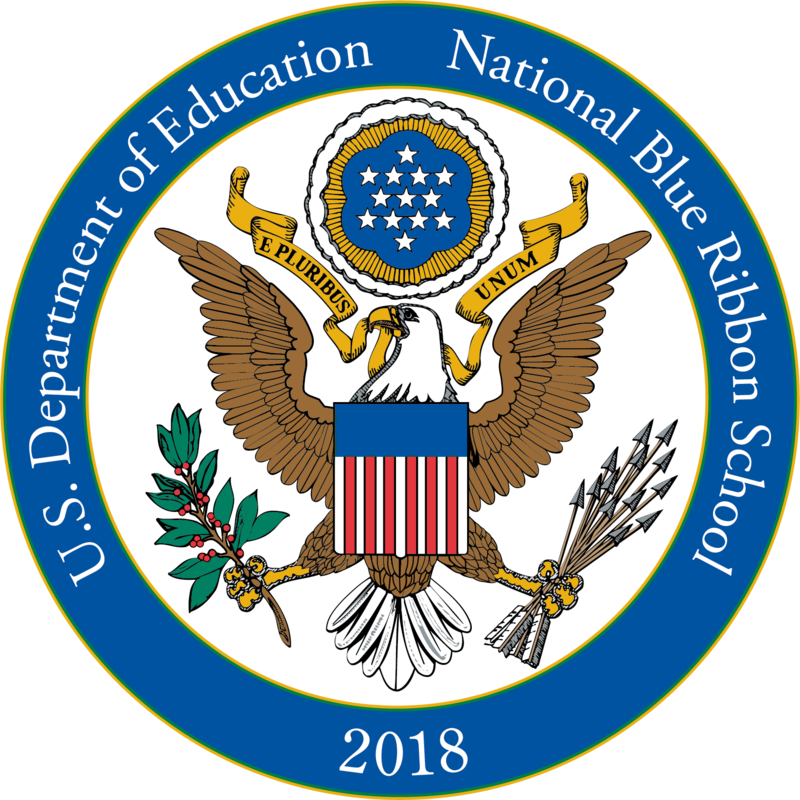 Sacred Heart School has been named a 2018 National Blue Ribbon School of Excellence, a prestigious honor that recognizes the highest performing public and non-public schools in the country and celebrates school excellence at all levels. 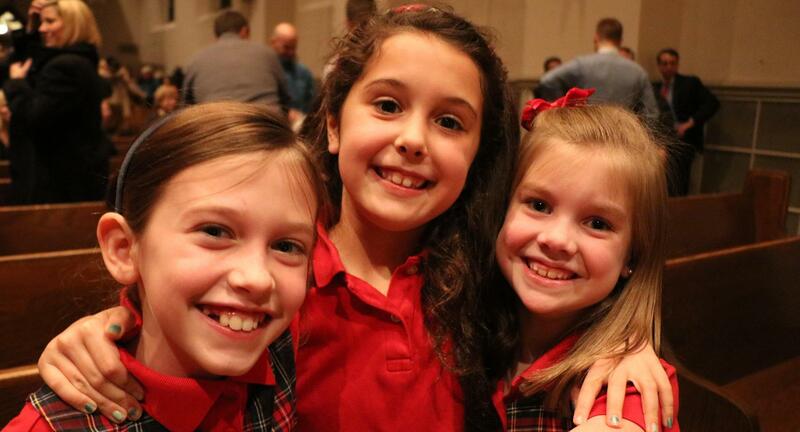 Sacred Heart is one of only 49 private schools in the country to receive this distinction. Since 2009, Sacred Heart has been an Apple Distinguished School for successful integration of technology. The STEAM lab offers opportunities to explore and innovate with circuitry, coding, robotics, and software engineering, all while collaborating with peers. Student life extends beyond school hours with after-school care and a teacher-supervised Homework Lab as well as arts, sciences and athletic offerings. A drama group, enrichment classes, and no-cut team sports keep students engaged and filled with school spirit. 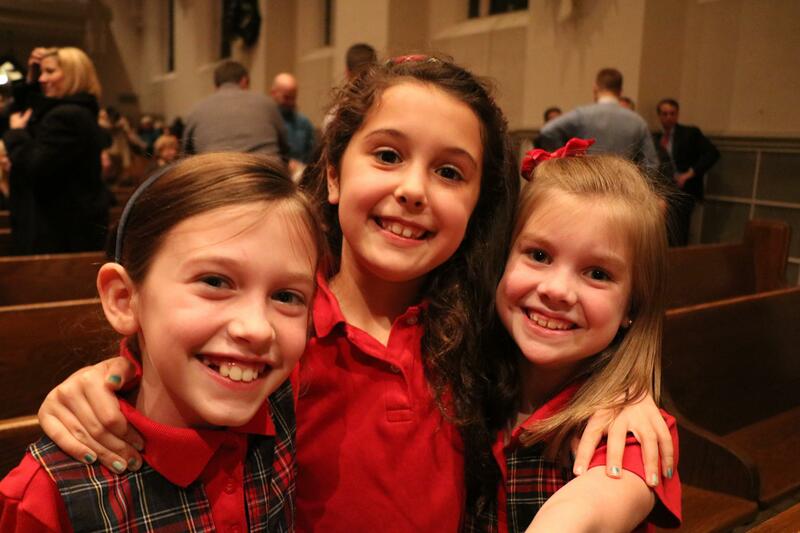 Sacred Heart’s mission and family-centered philosophy continue to attract new students. Graduates go on to excel in high school, college and beyond--a testament to the values Sacred Heart instilled. 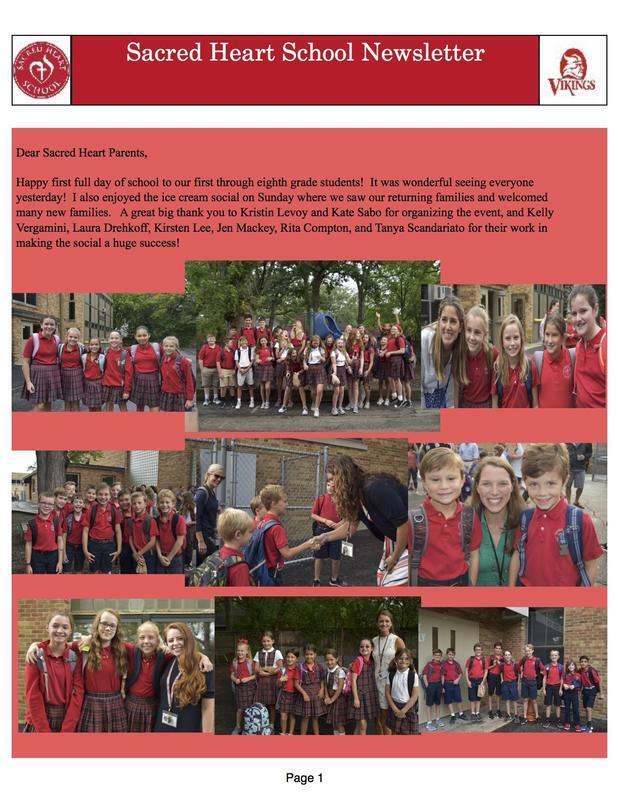 Sacred Heart School is a faith-based community of faculty, parents and staff dedicated to educating the hearts and minds of children from preschool through 8th grade. There are three important components to this mission. As a school, we hold ourselves to the high academic standards that our children require to be successful lifelong learners. As a pillar of our parish, we instill the values of our faith so that our children grow spiritually as well as intellectually. As a community, we work in partnership with parents to surround our students with people who care about them and their future.